We have three fantastic Angus webcams which showcase various locations including the harbour and coast of Arbroath, the famous Carnoustie Championship golf course and views across the Basin at Montrose. We hope you enjoy and return again to view our webcams. Please accept our apologies if any of our cameras are offline, this may be due to either technical or privacy issues. Do return another time, to enjoy the views. Enjoy the view from the Arbroath Signal Tower Museum, including views of the harbour and boatyard, the Bell Rock Lighthouse and a glance over the town of Arbroath itself. The Bell Rock Lighthouse stands 11 miles offshore from Arbroath and is the oldest surviving rock lighthouse in Britain! Thanks to ANGUSAlive for showcasing this intriguing part of Arbroath’s coastline. Find out more about Arbroath. Enjoy spectacular views across the Carnoustie Golf Links as seen from the balcony of the Carnoustie Golf Hotel. Use the preset options to move between the different views available. Golf has been played in Angus for over 450 years, with over 30 courses within a 40 minute drive of this fantastic championship course. Visit the Carnoustie Country website to find out more. Thanks to Carnoustie Golf Hotel and Carnoustie Golf Links for helping to showcase golf in Angus. Find out more about Carnoustie. 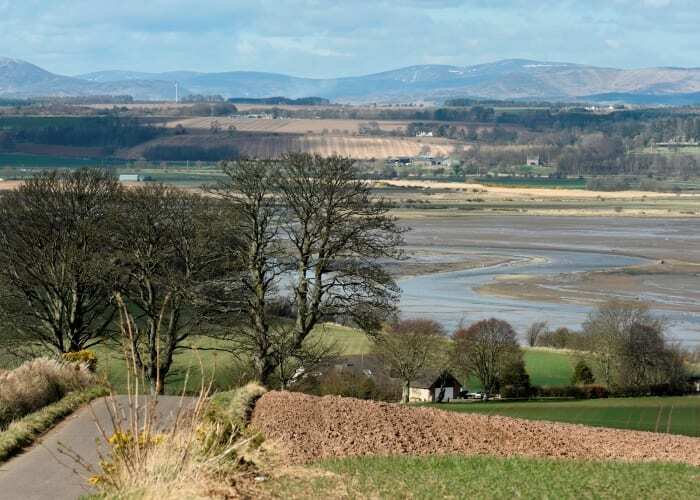 Enjoy views across Montrose Basin as it empties and fills and watch the birds feeding up close. You will see a wide variety of birds who feed and if you time it right, you might see a Kingfisher. Thanks to Montrose Basin Visitor Centre and AngusAlive for showcasing this spectacular part of Angus. Find out more about Montrose.